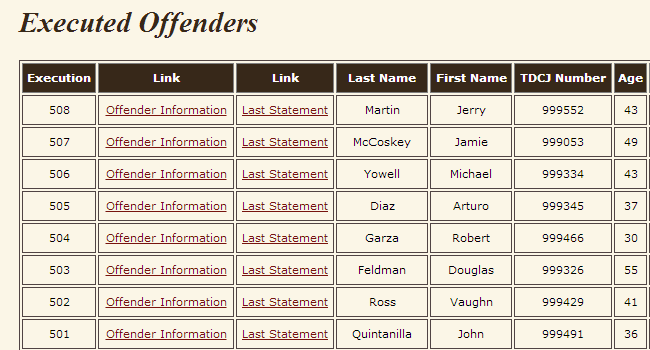 I was recently looking for information on the death penalty in the US and came across the website of Texas Department of Criminal Justice and their full list of offenders executed since 1982. Grim topic, without question, yet good example of interesting web data ready to be scraped. Here’s how I extracted data from the TDCJ website. To get started, open this web page, select and copy all entries in the table and paste it in an Excel spreadsheet. This should give you a nice table, including data and links to “Offender Information” and “Last Statement” pages for each record. These subpages contain additional information that we want. You can extract hyperlinks from “Link” column in Excel using a macro described in this tutorial. Note: remember that indexing starts at zero in Google Refine. For the detailed explanation of this code refer to GREL (Google Refine Expression Language) documentation. 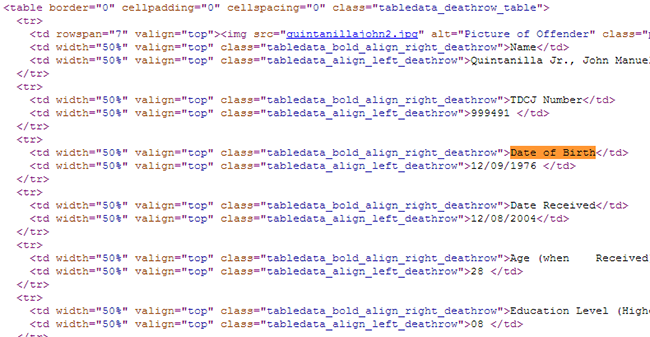 This should give you an idea on how to extract data from structured HTML pages with Google refine. Once you are done, export your table to Excel or text file and have fun with it in Tableau! I’ll post my interpretation of this data soon.